Desert Aire has been in the Québec market for over 20 years both in municipal swimming pools and in small installations. The Desert Aire dehumidifiers can extract from 7 lbs of water/hr (540 cfm) up to 338 lbs of water/hr ( 25,000 cfm). Designed to be installed both indoors and outdoors, Desert Aire dehumidifiers can recover heat from exhaust air to heat water and/or pool air. 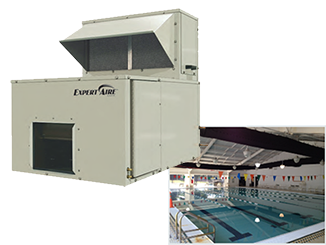 Desert Aire offers the "Evacuator" system to evacuate the trichloramines released on the surface of the water and to keep an optimal quality of air for the swimmers and other users of the aquatic center. 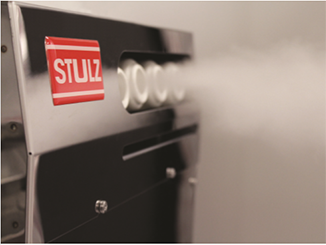 STULZ DESICAiR dehumidifiers use a silica gel desiccator in a rotary structure (rotor) to absorb water from air. 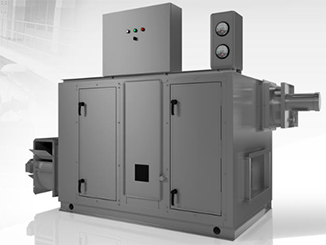 Since this dehumidification technology does not rely on condensing water on a cold surface, depending upon the entering air conditions, a dew point well below freezing can be attained. The STULZ product line offers 18 nominal sizes, with pre-designed module, providing great flexibility without the need for a custom design. Ultrasonic humidification is the best way to maintain the humidity rate without increasing energy consumption and without creating an additional load on the system. The basis of this technology is to vibrate the water molecules using piezoelectricity. The signal entering the humidifier is 4-20mA or 0-10Vdc allowing ultimate control of humidification. It can be placed in a room or in an air handling unit because it is equipped with a fan. Ultrasonic humidifiers require deionized or reverse osmosis-treated water to improve the life of the device and the quality of the moisture generated. The hydropinic industry is booming. 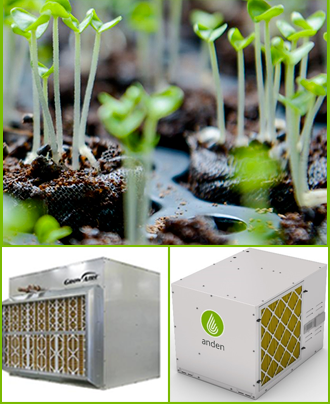 Precision air conditioning is an integral part of the air quality of greenhouses. The STULZ CYBERAIR model offers moisture and CO2 control specifically adapted for these applications.